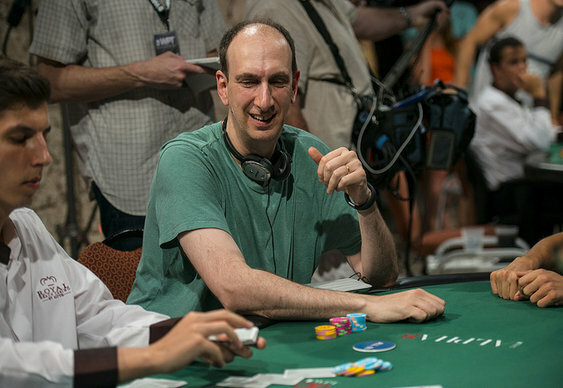 Erik Seidel is the man to beat after the opening day of a record-breaking Aussie Millions LK Boutique AU$250,000 Challenge. The American has enjoyed a great trip to Melbourne already with a 10th place finish in the Main Event followed by a third in the AU$100k High Roller. He'll return tomorrow with 944,000. Rumours of the demise of Tom Dwan's bankroll appear to have been greatly exaggerated with Durrrr firing two bullets en route to second place in the chip counts. A collection of 26 top pros and deep pocketed amateurs bought in 37 times with Viktor Blom, Daniel Negreanu, Mike McDonald, Isaac Haxton and Tony Bloom amongst those firing multiple bullets. 18 survived the day with Jason Mercier, Phil Ivey, Yevgeniy Timoshenko, the aforementioned Bloom and fellow Brit Paul Newey amongst the the top ten. Precise details of the prize pool are yet to be confirmed as re-entry is available until the start of play on Monday.